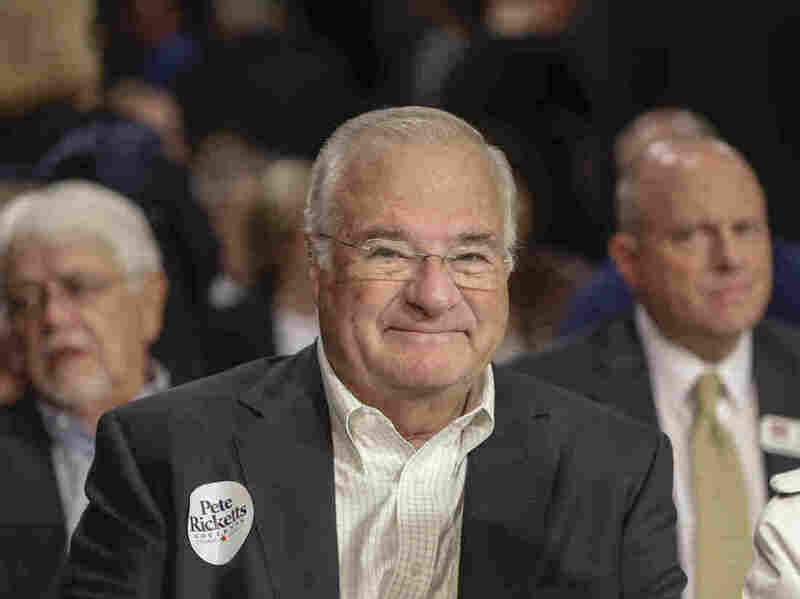 Billionaire Owner Shuts Down DNAinfo, Gothamist Sites A Week After Workers Unionize : The Two-Way Joe Ricketts, TD Ameritrade founder and Chicago Cubs owner, created DNAinfo in 2009 to cover neighborhood news in New York and Chicago. "But DNAinfo is, at the end of the day, a business," he wrote. Joe Ricketts, the billionaire founder of TD Ameritrade, announced Thursday that he had shut down DNAinfo and the Gothamist network. Just a week ago, the employees at local-news websites DNAinfo and Gothamist in New York voted to unionize. Thursday evening, the publications' billionaire owner, Joe Ricketts, announced that he was shutting them down. The websites, which had been reporting on everything from the truck attack in Manhattan to the boot mugs at Chicago's Christkindlmarkt, suddenly began redirecting to a letter from Ricketts, who founded the online stock brokerage TD Ameritrade and whose family owns the Chicago Cubs. In his letter, Ricketts explained that he had founded DNAinfo in 2009 to cover neighborhood news in New York and Chicago, and "because I believe people care deeply about the things that happen where they live and work, I thought we could build a large and loyal audience that advertisers would want to reach." "But DNAinfo is, at the end of the day, a business, and businesses need to be economically successful if they are to endure," he concluded. "And while we made important progress toward building DNAinfo into a successful business, in the end, that progress hasn't been sufficient to support the tremendous effort and expense needed to produce the type of journalism on which the company was founded." Ricketts bought the Gothamist network of sites in March; he said DNAinfo and Gothamist were visited by 9 million people a month. The shutdown comes just a week after 25 of 27 workers in its New York properties voted to join the Writers Guild East, which meant that management would be required to bargain with the union. "[I]t is no secret that threats were made to these workers during the organizing drive," the union said in a statement. "The Guild will be looking at all of our potential areas of recourse, and we will aggressively pursue our new members' rights." The Times reports that when workers tried to organize in the spring, Ricketts wrote to them, "As long as it's my money that's paying for everything, I intend to be the one making the decisions about the direction of the business." In September, Ricketts penned a blog post titled, "Why I'm Against Unions At Businesses I Create." In it, Ricketts wrote, "It's my observation that unions exert efforts that tend to destroy the Free Enterprise system." The fact that all pages in the Gothamist and DNAinfo empires began redirecting to Ricketts' note spurred concerns among the sites' reporters that they wouldn't be able to access their work, complicating their now-requisite job searches. Reporters submit examples of their published work when applying for jobs. Some people on social media saw the sudden redirect and inability to access the site's archives as retaliation against the sites' employees for voting to unionize. Instructions on workarounds to access the outlets' archives began to proliferate. An official at DNAinfo told the Times that the sites would be archived online. As of Friday afternoon, the sites' archives were accessible. The shutdown leaves 115 people out of work, the Times reports. The sites' employees in Chicago, Washington, Los Angeles and San Francisco all lost their jobs, though they had not unionized. Last September, Ricketts announced he planned to donate $1 million to aid Donald Trump's campaign. Two months later, Trump nominated Ricketts' son Todd to be deputy commerce secretary. Todd Ricketts eventually withdrew his name from consideration for the post, citing too many potential conflicts of interest with the family business. After the announcement, employees at DNAinfo and Gothamist began looking for work. "I have bled, sweat, cried, put myself in harm's way for this job, and now the last two years of my live have been erased," wrote Noah Hurowitz, a reporter at DNAinfo in New York. "This is an act of direct retaliation for our successful union effort," Hurowitz added. "I have no regrets. We did the right thing, stood tall. I am proud."